It was a touching moment as Thirty Bench winemaker Emma Garner, above, revealed the new name for a major vineyard replanting at the historic Beamsville Bench property. 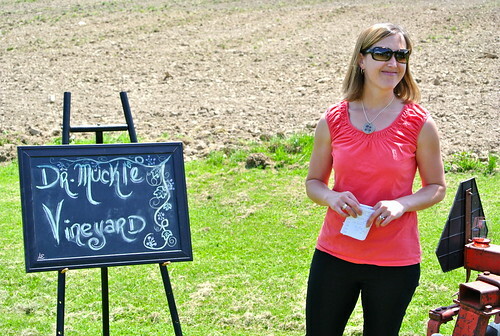 On a bright spring day, Garner unveiled the Dr. Muckle Vineyard with Muckle’s daughter, Fiona Muckle, estate manager of Thirty Bench, in attendance. It was a surprise for her and a few private tears were shed over the honour bestowed on her father. Dr. Muckle was a visionary in Niagara, planting Riesling at Thirty Bench between 1981 and 1983 with two amateur winemakers Yorgos Papageorgiou and Frank Zeritsch. They used innovative methods for growing their Riesling, including hand harvesting, low yields and late picking, all methods currently used by the winery, now owned by Andrew Peller Ltd.
And, why not? 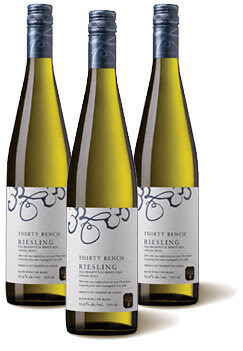 Thrity Bench continues to set the bar in terms of Riesling in Canada with three distinct Small Lot bottlings (Steel Post, Wood Post and Triangle) and an estate cuvee that consistently rack up awards and accolades under current winemaker Garner. The winery made an event of the replanting of one the property’s vineyards that was suffering from vine health and drainage issues. 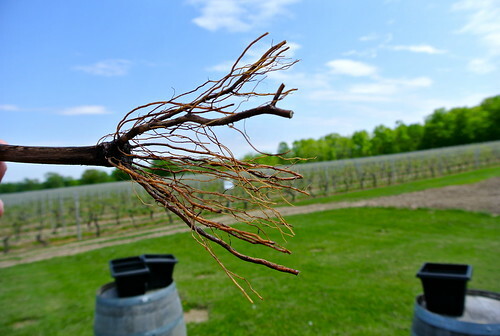 The Dr. Muckle Vineyard will be replanted to 25 acres of Weiss Clone 21b Riesling using Triangle Vineyard rootstock. It’s a laborious task of grafting (being done by Niagara’s VineTech), working the soil and planting that is being conducted this summer. It is hoped that the Riesling will end up in the winemakers Riesling in four years and perhaps another Small Lot wine sometime in the future when the vines have matured. 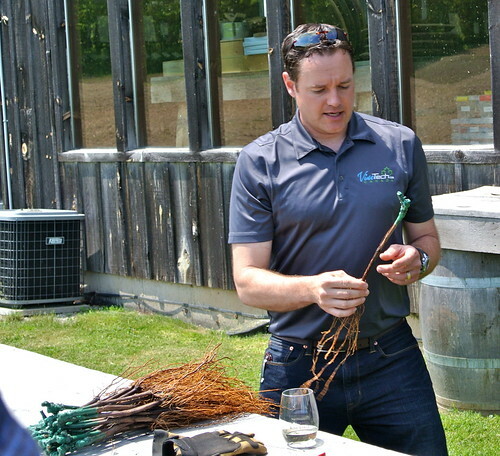 We were given a lesson by VineTech’s Wes Weins, pictured above, on how to graft vines and plant them once the vines are ready. Those in attendance received a new vine from Triangle Vineyard rootstock and I can happily report that my vine, sitting on my front porch, has already flowered. 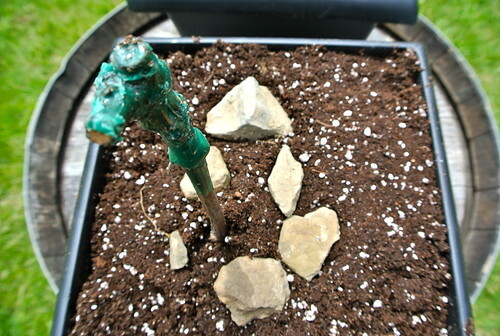 I intend to take my first crop (in three years) and make my own Triangle Vineyard Riesling. Look out, Emma Garner! 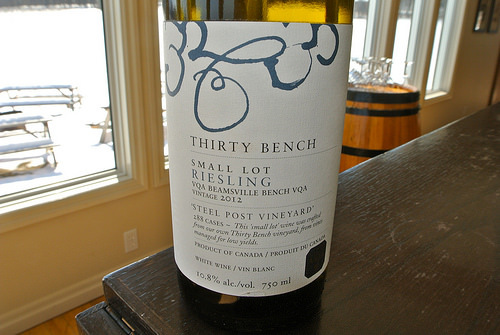 It’s a big weekend for Thirty Bench with the release of the single-vineyard 2012 Small Lot Rieslings. 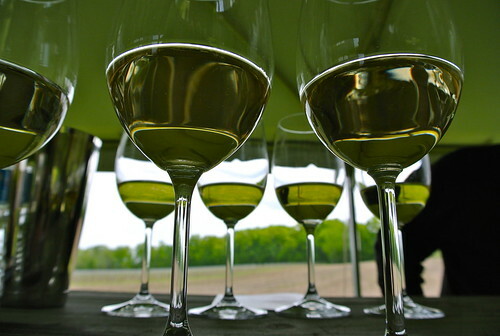 Drop into the winery Saturday or Sunday from 11 to 5 p.m. to be among the first to taste the 2012 Small Lot Wood Post, Steel Post and Triangle Rieslings. In the winter, I tasted and reviewed the single-vineyard Rieslings being released and love the fact that Garner is on a plan now to release these wines with a bit of bottle age. The Small Lot wines all need a time to age before they show their best. At the vineyard replanting event we were able to taste through the last four vintages of the Wood Post Riesling and it was evident that these wines take on a whole new profile as the acids soften and the wine integrates. The 2009 vintage showed gorgeous chalky minerality and precision while the 2010 was a knockout with jasmine, lanolin, subtle white pepper, stony minerality and a silky texture on the palate. It’s clear these wines will benefit from aging. Thirty Bench Small Lot Wood Post Vineyard Riesling 2012 ($30, 91 points) — Nestled next to the winery, the Wood Post Vineyard provides a gorgeous view out the sun-filled tasting room windows. Named after the posts, this nine-acre vineyard is the youngest of estate’s Riesling vines, planted in 1984. The nose shows brilliant lime, slate mineral, green apple, jasmine and an enticing earthiness. It’s bright yet structured on the palate with persistent citrus notes and ginger spice that lingers on the palate. It is the wild child of the three single-block wines, “you just never know where it’s going to go,” says Garner. Thirty Bench Small Lot Triangle Vineyard Riesling 2012 ($30, 92 points) — This vineyard is located in the east corner of the estate (it is, in fact, planted in a triangle). Planted in 1981, the nine-acre vineyard has a lower elevation than the Wood Post and Steel Post Vineyards and is divided by a small wooded area and tiny creek. Garner calls this a bigger, fleshier Riesling: “The crowd pleaser, seductive,” she says. It’s definitely the first of the trio to show itself fully. And in a warm vintage like 2012, it is a voluptuous beauty with a nose of citrus, juicy peach, tangerine, ginger, lilac, minerals, and a lovely lanolin note. It’s fleshy on the palate, rich and textured with defined fruits in combination with minerals and spice. It’s just a wonderful and pristine Riesling that will deliver immediate pleasure.